With 5.38 million travelers visiting in 2017, Bali is an internationally-renowned tourist destination famous for its pristine beaches and vibrant culture. The paradise island is also home to unique local wisdom - “Tri Hita Karana” - which prescribes a way of living that protects the harmony between people, nature and God. As part of an effort to empower communities in improving livelihoods while preserving local culture, the British Council and Yayasan Wisnu - with the support of Diageo - designed and implemented the Langgeng Ecotourism Programme (LEP) in Nyambu, Tabanan. In April 2017, the corporate social responsibility initiative launched Desa Wisata Ekologis (DWE) Nyambu to be a community-based ecotourism social enterprise in Nyambu village that offers a series of skills training to encourage active participation of individuals and build the community’s capacity in managing ecotourism business. Through the Active Citizens program, British Council invited ecotourism practitioners from all across Indonesia to learn more about the community-based ecotourism enterprise. 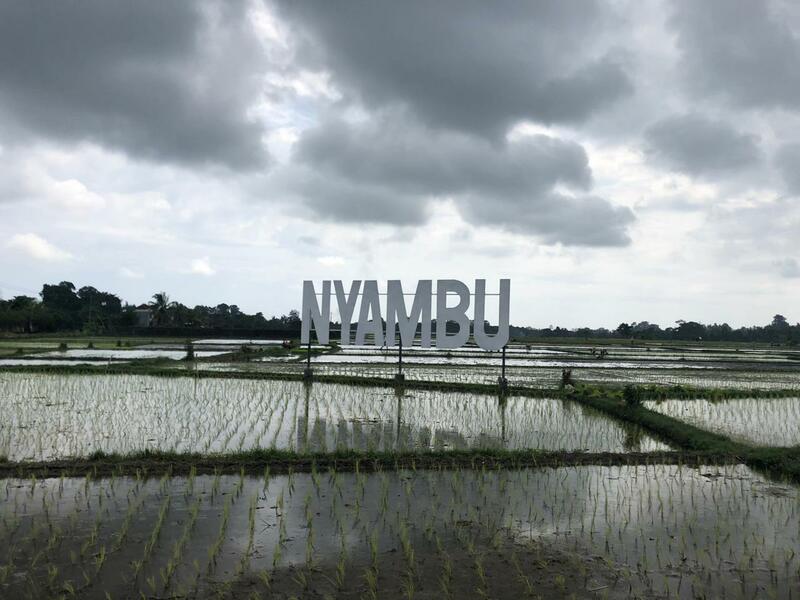 Nyambu signage in front of the village has become a point of interest for guests and villagers to take pictures. In December 2018, Kopernik's Last Mile Consulting was tasked to conduct an in-depth impact evaluation to map the behavior changes as well as the economic and non-economic benefits of the Langgeng Ecotourism Programm. Since the program began in 2015, it has reached over 2,671 beneficiaries in Nyambu village alone. 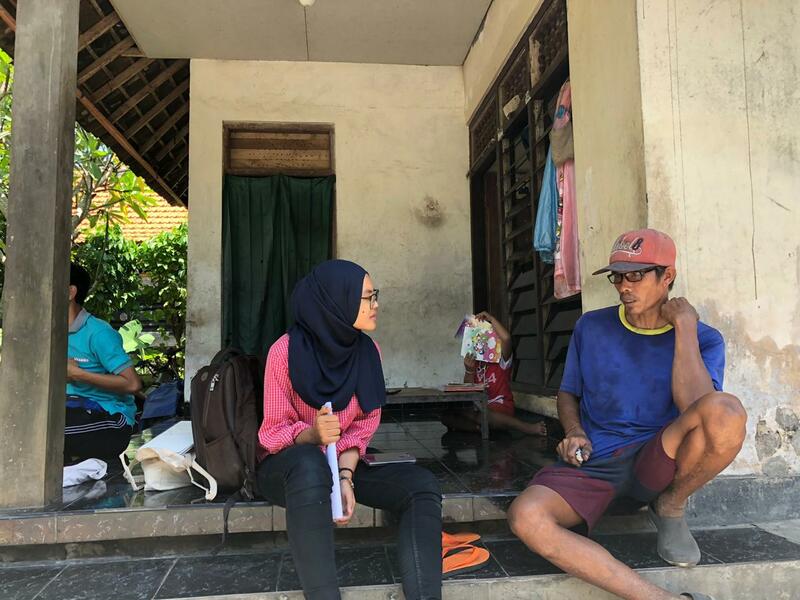 Last Mile Consulting's Analyst Dianty Widyowati interviewing Made Kartika, a resident of Nyambu village, about his experience on attending the Microenterprise training. In conducting the impact evaluation, Kopernik interviewed 46 participants consisting of Langgeng Ecotourism Programme attendants, Nyambu local government officials, and program trainers. An evaluation was done to examine the effects on the village economy, environment, culture, and village cohesion. Kopernik collected and extrapolated field data, analyzed the findings and recommended next steps for the future sustainability of the Langgeng Ecotourism Project in Nyambu village. Based on a series of data collection, interviews and analysis, Kopernik found that the program has been particularly effective in motivating Nyambu residents to improve the village's environment, particularly in maintaining its cleanliness. Plastic waste used to be scattered carelessly around the village, often clogging waterways in the rice fields. But some Nyambu villagers who were interviewed said that now they are more aware of the problem and are informed about better ways to manage waste. This behavior change has yet to translate to significant economic benefits, however with time, the program could potentially attract more visitors - and greater income - into the village. Stay tuned to hear more about how ecotourism benefits the villagers of Nyambu, Tabanan!